Give me a good burger, and I could write all day on the subject. There's just something about the perfect burger: The juiciness of the patty, the softness of the bun, the crispiness of the bacon, Mmm!! I usually go pretty simple with my burgers: Medium rare, bacon, and cheese, with the standard vegetable toppings of lettuce, tomato, and onion, of course. Every now and then I get fancy - To this day, I swear one of the most amazing burgers I've ever had was the Hi-Life Burger at Hi-Life Bar and Lounge, where yours truly waited on cranky New Yorkers for a brief moment in time. 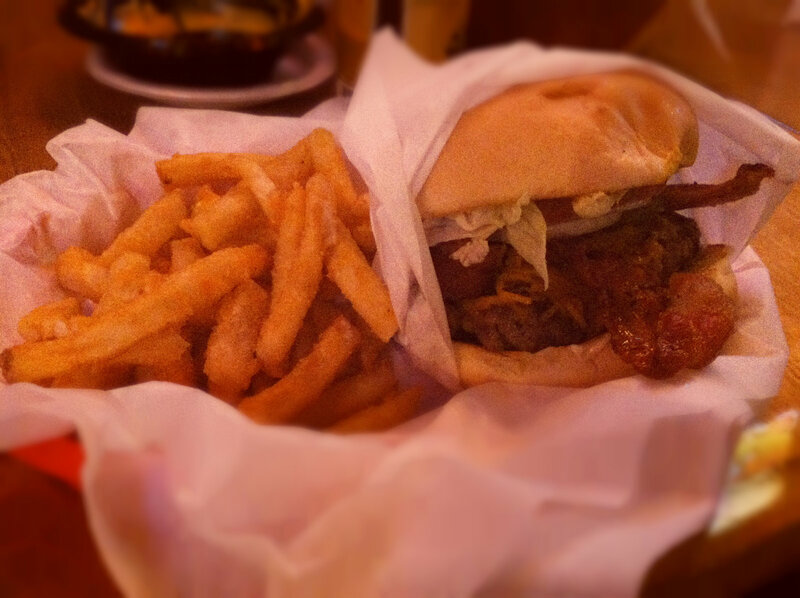 The Hi-Life Burger had bits of bacon in the patty and was topped with pickled ginger and spicy mayo. WHAT WAS IN MY MOUTH. A blaze of glory, that's what. But other than the occasional change-up, I tend stick with my dear old friends: The bacon cheddar buddies. Every Thursday night, my dad has "Martini Night" at his house. I attend Martini Night pretty frequently (uh, hello, why wouldn't you), which baffles him, because it consists of us drinking martinis while clearing out his DVR of old episodes of "Selling New York" and "Selling L.A." I will shamelessly admit that I love HGTV through and through, so this is pure bliss for me. Dad: Kim, with amazing apartments like these, I can't imagine why you would ever want to leave New York. Kim: Dad, my apartment in New York didn't have any windows, the heat didn't work, and the bathtub was in the kitchen. My bathtub wasn't really in the kitchen, but I definitely had been to an apartment like that. Which was not abnormal. Anyway, on one of these Martini Nights, my dad said, "You know I taped this show on the Travel Channel called 'Burger Land' where this guy travels around the country tasting the best burgers. This one particular episode focuses on Houston. Want to watch it?" First of all, Mr. Burger Taster of America must have made a deal with the devil to be living the dream like he is. Second of all, hell yes I wanted to watch it, and wouldn't you know Mr. Burger Taster visited Christian's Tailgate on Washington and sampled the Country Fried Bacon Burger. So my dad and I obviously went a week later. Not so brave as to try a burger topped with fried battered bacon and onion rings, I stuck with the Bacon Bacon Burger. Anything with two "Bacons" in the name holds the promise of a brighter tomorrow as far as I'm concerned! And WHOA. Was it GOOD. Bacon in the patty, bacon on the patty. I of course added cheddar. It was so incredibly juicy and bursting with flavor. And the fries, ohmahlawd. Crispy, seasoned to perfection, and flipping brilliant. Jason - Ate the majority of his burger sliders and half of his fries. Kim - Where'd her food go? I also really liked the inside of this location much better than the one on Washington. The Washington spot is pretty small, dark, and divey. Which, duh, I love, but the one in the Heights is HUGE. 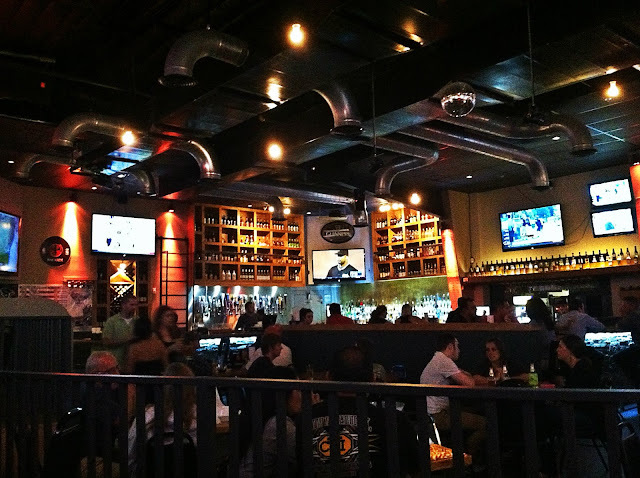 It has a semi-outdoor space which is mostly a bar, and then a large backroom that has table service. And there are ginormous TVs everywhere. I loved it. La-la loved it. 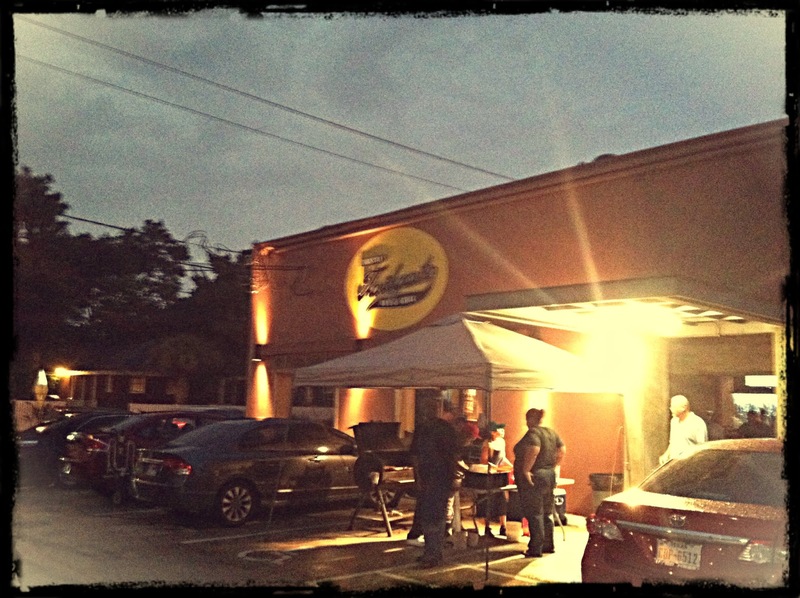 Christian's Tailgate is a great spot to hang out with a group of friends over beer, french fries, and some of the best burgers you will ever devour in a matter of seconds. And Mr. Burger Taster of America, wherever your magical travels have landed you: I salute you.